Meet the Crukee Video Doorbell: a WiFi enabled gadget that lets you see who is at your door on your smartphone. 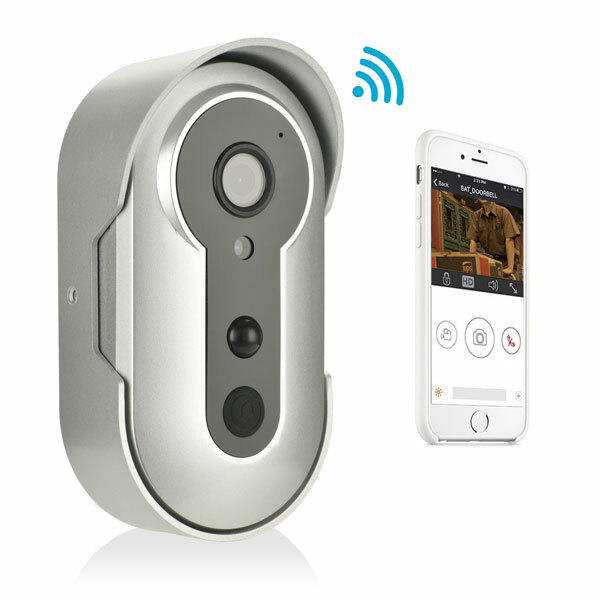 It has 2-way audio, HD video, motion detection, and night vision. It sends you notifications when there is activity in front of your door or your bell is rung. The camera is weather resistant. It has a 3000 mAh battery that lasts up to 90 days. Costs under $100 at this time.